Entrants must 'Like’ the Afternoon Express Facebook page (if not previously liked); and Reply to the Afternoon Express: Clover Nutrikids Competition post that is posted on the Afternoon Express Facebook page (https://www.facebook.com/afternoonexpress/) during the Competition Period by providing your answer to the Competition question. Competition closes: 11 October 2017 at 16:00 Terms and Conditions Apply. 1.1. 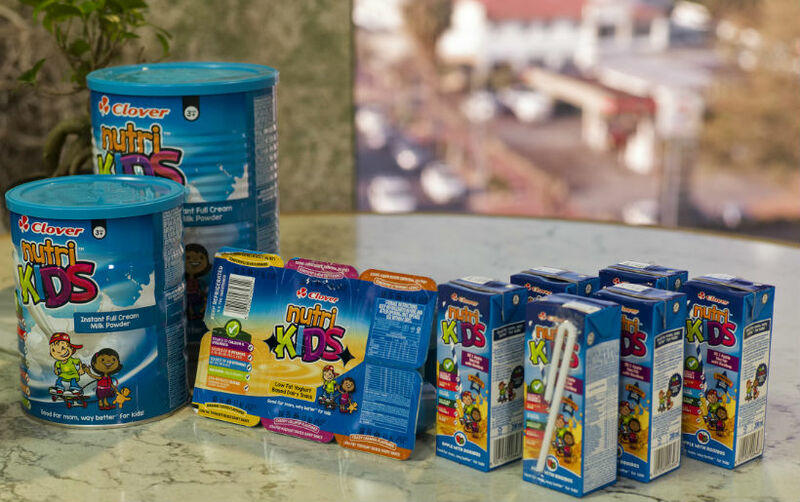 The Afternoon Express: Clover Nutrikids competition (Competition) will be run by Cardova Trading (Pty) Ltd in association with Clover S.A (Pty) Ltd. (Organisers/we/us/our). Entries for the Competition will open at 16h00 on Wednesday, 4 October 2017 and will close at 16h00 on Wednesday 11 October 2017(Competition Period). 4.1.2. Reply to the Afternoon Express: Clover Nutrikids Competition post that is posted on the Afternoon Express Facebook page (https://www.facebook.com/afternoonexpress/) during the Competition Period by providing your answer to the Competition question. 4.3. You may enter only once for the Competition. 5.1. 1 (one) person (Winner) will be randomly selected by means of an automated system from all valid entries as the winner of the Prize within 3 (three) days from the closing date of the Competition, subject to clauses 5.2 and 7.2. 5.2. We will notify the Winner by commenting on the Winner’s entry post within 24 (twenty-four) hours from determination of the Winner to request a copy of the Winner’s identification document in order to validate his/her entry and to request further contact details. The Winner will be required to provide an electronic copy of his/her identification document within 3 (three) days from being requested by us, failing which the Winner will forfeit the Prize and have no claim against us. 6.1.3. 2 x Nutrikids milk powder [1.8kg and 400g].